Oded Nir: My start in music was actually in Death Metal, when I started to learn bass guitar in the 90s. The first band I played in was a death metal band. After that, I got more and more involved in the Israeli rock scene. I was fortunate to work with different music producers. I worked as a session bass player and I collaborated with artists such as Itzhak Klepter. This had a major influence on my career as I got exposed to a large variety of music genres. Then, I developed more into blues and jazz. In the end of the 90s, I discovered the chill out and lounge music. During that time, chill out music was booming because of the Cafe Del Mar compilations and that inspired me strongly to produce chill out tracks of my own and start my DJ career in this genre. Q: Where did you play? Oded Nir: I played mostly around the beach areas in Tel Aviv in places like Sakaya and Shalvata for a short time, and six months after I started DJing, I left Israel for the Netherlands. Q: Did your DJing lead you to music production? Oded Nir: Actually, I started with music production first – producing staff in my studio and then moved to spreading my music to a wider audience through DJ-ing. Q: When did you move abroad? 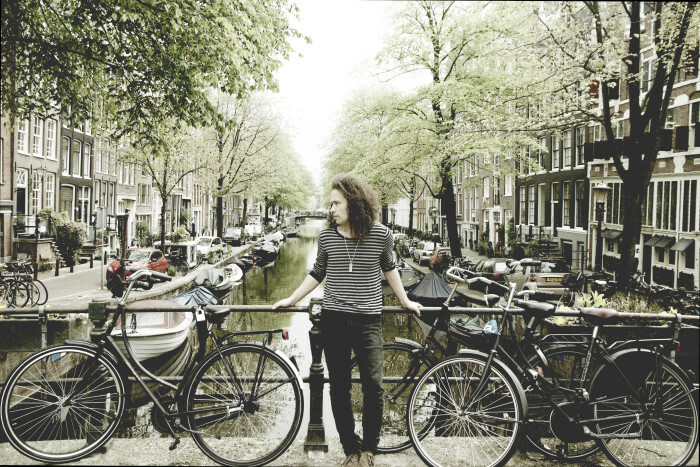 Oded Nir: I grabbed the opportunity to launch my career in Amsterdam when I signed with a Dutch record label while visiting the Midem Conference Festival in Cannes. I moved to the Netherlands in the end of 2006. Q: What brought you to open your own label? 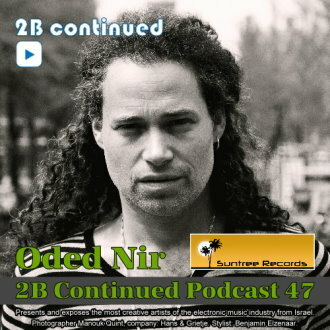 Oded Nir: After I moved to Amsterdam in 2006, I decided to start Suntree Records because nobody wanted to sign my tracks since chill out was not popular – those days, minimal and electro were the hype. Thus, my timing was not optimal, yet, I strongly believed in my work and I was convinced that it would work out on the long term. So I started to collaborate with local business people who believed in me and that helped me to get a solid record label from ground zero. Q: Do you think that achieving success in the music scene is comparable in both Israel and Amsterdam? Oded Nir: I believe that the opportunities in the House scene abroad, and especially in Amsterdam, are better than in Israel. First, the Dutch dance scene is extremely well developed and it has been leading the industry around the world for many years. Second, in comparison to the Israeli scene, in the international scene and especially in the Dutch dance scene, you have more chances to succeed if you are unique and authentic. Last, with hard work, determination, and with networking skills, you can get more success than in Israel. Unfortunately, possible success in Israel is still highly influenced by your relationships with small groups of people who are well connected in the music industry and business. Q: In Israel there are few DJs who work with PR or an agency that runs their affairs. Most of them compromise and blend with the common and average attitude. This approach forces the DJs to become their own PR –they “chase” club owners, give flyers and responsible for publicity while they should actually focus on being DJs. In some cases they are taken very lightly with regard to their position on the deck and they aren’t paid well. This happens in practice because there is a common assumption that if a DJ doesn’t take the ‘job’ there will be 10 others awaiting for it. Why do you think this happens in Israel? Can you shed some light on this matter? Oded Nir: I can relate to the observation that DJ-ing today involves more than playing a good set. Indeed, DJ-ing successfully requires a business approach from the artist. The house scene has undergone major changes in the last decade. With the rise of internet and the development of laptops, it has become increasingly easier for people to start DJ-ing. This has contributed to the large number of DJs who are active in the scene. In contrast, the number of clubs has increased at a slower rate than the number of DJs, thereby creating more leverage with the club owners compared to the DJs. In Israel, I have also witnessed the behavior of club owners and promoters towards the DJs you mention. I think this is partly connected to the Israeli culture to the extent that the culture is more impatient and direct. For example, if you play a set in Amsterdam that is unsatisfactory in the eyes of the club owner, he will let you finish the set and never book you again. Whereas in Israel, you will more likely be kicked out of the booth during the set. The advice that I can give is that we, as a society, in general should be more patient and show more respect for people. Q: Do you perform in Israel and what is your opinion about the Israeli club scene? Oded Nir: I focus on music production, playing in Amsterdam and locations around the world. But, about once a year I do come and play in Israel. When I play in Israel, I usually work with Shmulik Reznik who also became one of my closest friends. I started working with him before I moved to Amsterdam. To conclude, the Israeli club scene is very progressed, up to date and has a great reputation around the world. Especially, the reputation is one of a happy public that comes to have fun. Q: You’ve played in known festivals, media platforms like TV and radio, and your name precedes you around the world in the music industry. As an expert in the field, what would you recommend someone who is interested in entering this industry? Oded Nir: First thanks for your kind words, which are very nice to hear. I recommend people to get out of their box and comfort zone and start understanding that the world is big and wide. And given the Internet age we live in today, we are able to reach anyone around the world. If you get rejections, refusals and negative feedback from people, try to learn from the experience and/or get out and try in other places. Do not forget that the Israeli talent is well known around the world and appreciated. Nobody can really tell you if you are good or not, only yourself. So continue to believe in yourself and in what you do. Q: Tell us a little about your work – what keeps you up-to-date? Oded Nir: I produce and create what I feel like. Over the years, I have developed my own style and trademark. When people hear one of my tracks, they usually know it is me. I built Suntree Records with genres I love and wanted to develop further. Working with a range of different artists in a variety of settings helps me to keep being inspired with new and fresh sounds. Q: What is your favorite project? 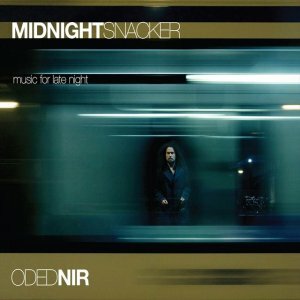 Oded Nir: My first full album, the Midnight Snacker album, will always have a special place in my heart, because there were no managers involved and no big deals. It was just me with the singers in the studio. When I made a track back then, I didn’t know if it will be released. So, the whole project had a special and innocent touch to it. I especially miss the times with the lead singer King Dread James, and the way we used to discover new boundaries of music together. Also, my biggest best seller single to date, Into Your Heart, has a special spot in my heart as I experienced for the first time the feeling of international success. Q: Who writes your songs and what are the main themes or topics for most of your songs? Oded Nir: I write all my songs: the lyrics, the composition and the production. In some cases, King Dread James wrote the lyrics, for example for Power of the Hair. But I am always open for new experiences. At the moment, I am working with Ladybird from Paris, an acclaimed international singer (Soldiers of Twilight, the Rurals) on a track where she wrote the lyrics and I made the composition. What can the themes of my songs be about? Love… what else? 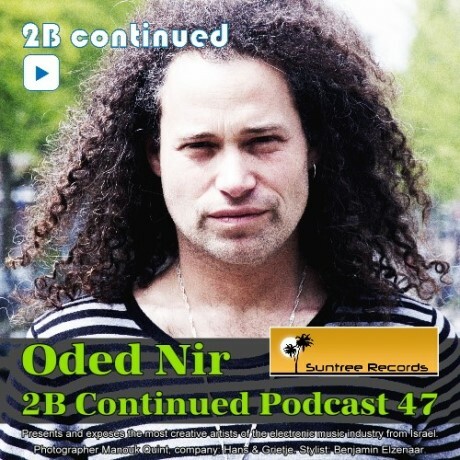 Oded Nir: At the moment, as I mentioned before, I am working on a new track featuring Ladybird from Paris which is going to be a funky and soulful house track. Also, a new track featuring my resident singer King Dread James, and a couple of instrumental grooves in the Deep House genre are coming out this year. Further, you can expect a couple of new remixes. For example, a remix for Steven Stone on the Soul Deluxe label from Switzerland to a wonderful track featuring American singer Wendy Lewis will be released in the upcoming months. Also, you can expect for more collaborations and soundtracks for movies, since I am developing more into that industry, and more locations that I plan to play around the world. Q: Are there any residencies these days? Oded Nir: Yes, there are residencies for me as I am positioned as a chillout lounge and soulful House artist. During the Spring and Summer, I have residencies at beach clubs around Europe and especially in the South of Holland and in Belgium. I also play once a year in China at the Ibiza Lake Beach Club. In Amsterdam I have residencies during the Summer and Winter in lounge locations. My label has an annual night during Amsterdam Dance Event that we have been organizing since 2008. Q: What does a track or an artist need to have in order to work with you? Credits: Hidde van der Linden. Photographer Manouk Quint, company: Hans & Grietje. Stylist: Benjamin Elzenaar.